Mother's Day or any day love messages can take many forms - cards, letters, calls, gifts, e-cards or combinations of the previous. Choose a good way to express your love. It is a special time in May known as Mother's Day. Mothers known more simply as "Moms" can be celebrated on any day or days that you choose throughout the year. A special message, a simple gift or a combination of message and thoughtful gift is important and permits you to say "I Love You" to someone who matters. Take time to remember your mother. 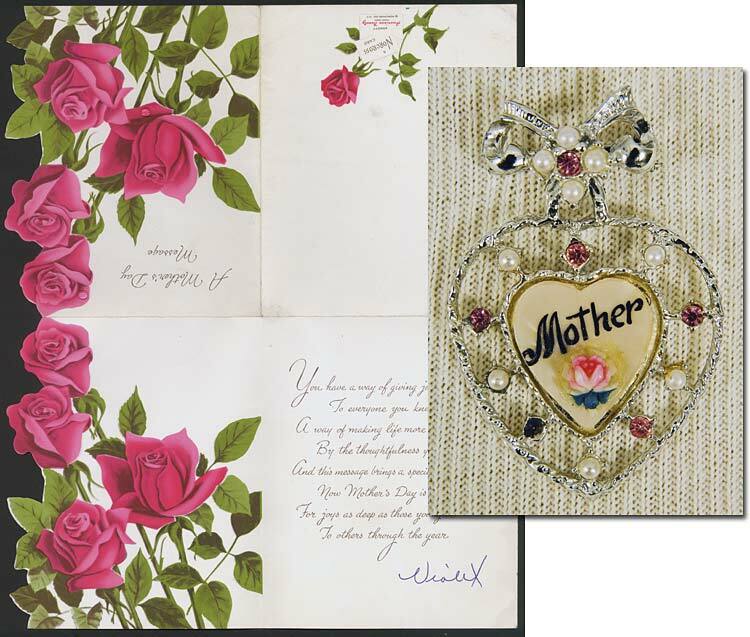 · The simple acknowledgement and remembrance of your mother by a card, call or e-card is a gift in itself. Time, love and acknowledgment are personal gifts that count. · Your message should be your true, honest thoughts and feelings and that message should reflect who your mother is to you. Say what you mean, say it nicely and say something can be cherished. · Give a gift, if you can, that you know will be appreciated, valued and liked. One mother loved flowers and her son regularly gave her flowers. Although she really appreciated the flowers, she always responded that the flowers were too expensive and that money should not be spent on those nice flowers. The son decided to deal with the issue directly one Mother's Day head on. He simply told her that the flowers were a gift of love first and that he wanted to give the flowers to her while she was alive and could appreciate them rather than at another time. That statement and idea hit home and went straight to that mother's head and heart. The subject of expensive flowers was never brought up again and the mission was accomplished. · Timeliness is important. Send your message or message and gift days before the true due date. However, even if the date was missed, "better late than never" is an acceptable rule. Sometimes a Mather's Day message or gift that is late is simply just great. After all, many moms are sacrificial and forgiving persons. Below are just six of many different thoughts to consider as starters for your own personal note or as a closing or ending on your card. Remember that these should be expressions of what you want to say and mean to say. Say what you mean and mean what you say. · Thank you for being the mother that you have been to me through all these years. · I am simply writing to say, "I Love You Mom. I really do love you". · You are a special woman, a special person and my one and only Mom. Thank you for being who you are – a great Mom. · I just called and wrote to say, "I Love You" at this special time. And remember Mom, I love you always and everyday throughout the year. · This is a great time and moment to remember a wonderful person and mother – You – My Mom – My Very Special Woman! · Mom, I may not say it often enough, or even at the right time, but I remember and honor you today and wish you sunshine and flowers always. Remember to add or modify to your message – whatever reflects you and who you are. Also remember to include those special thoughts or ideas of who your own mother is and what she means to you. Blessings be to all the good moms who make this world a better place for all. There is no need to dwell too long on the point that parents and children can each disappoint and hurt each other and these feelings and thoughts can last for months, years or a lifetime. Don't let that happen to you. Remember that misunderstandings, arguments, dislikes, fights, feuds, bitterness, hatred and angers can be overcome by love. Forgiveness and love are great healers. Yes, maybe, those past events will never be forgotten, but they can be forgiven and love can overcome. Regardless of what happened in the past, here are seven ways to say something special and unique to your Mom when seeking or giving forgiveness. · Forgive me for having been such a burden to you. I have changed and become better person now because you have always loved me better than I have loved you. · I am asking for your forgiveness for whatever hurt I have caused you. I forgive you for any hurt I ever accused you of in the past. Let the past be the past. I love you now. Know that this forgiveness and love is real and true. Thanks. · We both have changed over the years. I hope we can learn to forgive and love each other more and more and better and better with each passing day. Love to you. · Love, they say, is stronger than just about anything else. I have learned to forgive and learned to love so much better. Let us both forgive and love better. · Pardon me for being such a disappointment to you. Know that I have become a different and a better person. · I forgive you for the things in the past that have burdened me. My forgiveness carries with it a simple message: "I love you, I really do." Messages of Love for Mothers/Moms Everywhere and Anywhere. Photo Credit to Kentucky Historical Society, Frankfurt, Kentucky.